We all know that these days, it is not difficult to find an embroidery digitizer within your desired turn-around time. A simple google search will pop-up dozens of embroidery digitizing services. Freelance websites, embroidery communities and what not, there is literally a swarm of digitizers. Therefore, telling you how to find one is of no use. 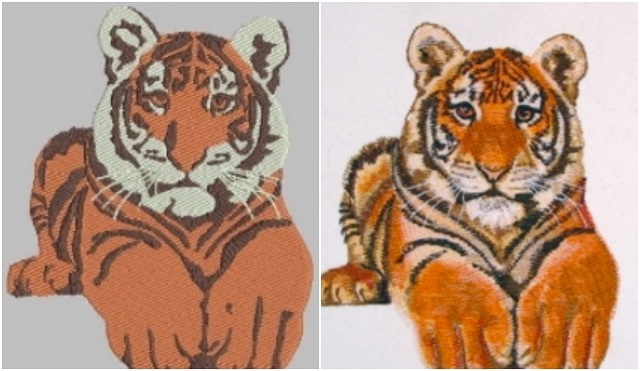 We have already published a blog post on how to compare embroidery digitizing services. What we will be focusing on today is to distinguish between a good and a bad embroidery digitizing service. You can easily find an embroidery digitizer. Comparing their prices and turn-around time is also pretty easy. But how do you evaluate quality? 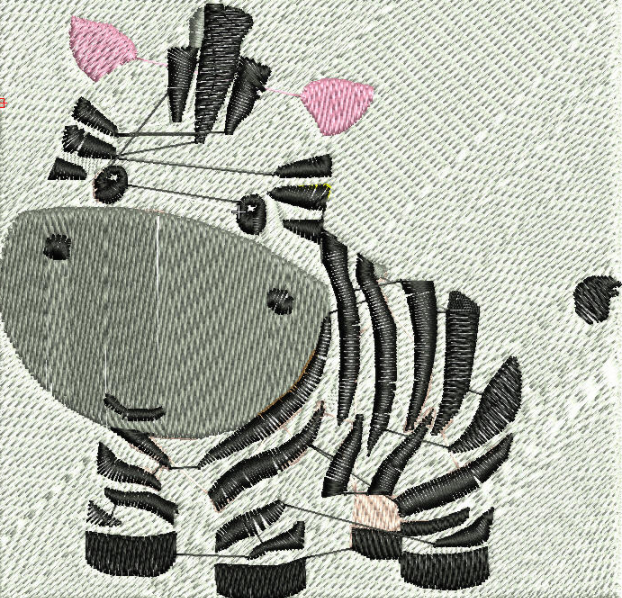 How do you know that an embroidery digitizer has done a fine job with your digitized design? What are your parameters to justify a price tag in terms of quality? Instead of sharing few “tips” on how to analyze the quality of a digitized design, we will be defining it with the help of few digitized designs. We will explain that what makes embroidery digitizing look really bad, and what can be done to overcome these issues. With merely the naked eye, one can identify that this is some below average digitizing. Yes, it is true but we are taking the worst case, for now, to entail as many issues as possible. So, next time around, even if you spot one issue with the digitized design, you know that it’s not the best. The obvious and biggest issue here is that the design doesn’t look good. There is no attention to the detail. The stitches fail to incur any definition. The white background looks really shabby. It should be negative space. Negative space means that ideally there should be nothing over there. The other major issue is that there is no underlay stitching throughout the design. A small design element without the underlay can cause significant problems. In this design, there is no underlay altogether which is clearly a recipe for disaster. If such a design is embroidered on a slippery material like a T-shirt, the results are going to be nothing short of a catastrophe. Underlay stitches are the ones that are embroidered before the main fill stitches. They are widely spaced as compared to the fill stitches and serve as the foundation to main design. The possible issues that can arise due to insufficient underlay stitching include puckering, shifting and even piercing of the embroidered material. Another pretty evident issue with the design lies in the black stitches. Apparently, there are way too many jump stitches in this design. Jump stitches are stitches that a digitizer skillfully places in the digitized design to move stitches from one area to another. When one area is stitched, the machine jumps to another area through a jump stitch. During embroidery digitizing, jump stitches should be kept to a minimum with least possible length. Instead of randomly including the jumps, a digitizer is supposed to keep jump stitches close enough. Another issue is with the stitches. Look how irregularly stitches are placed. Instead, of a smooth outlook, the digitized version will give chunks of stitched areas. Even by just looking at this, one can figure out that the result is much better as compared to the first one. It at least gives a smooth outlook which was missing in the previous digitized file. With that being said, it cannot be termed as an example of great and professional embroidery digitizing. There are problems that, though not evident, can be problematic afterwards. Though the digitizing is not that terrible as a whole, the digitizer has still made a terrible mistake. Again, there are no underlay stitches. It is a devastating mistake. Whenever you are evaluating digitizing for embroidery, check the underlay stitching first. It is too big a mistake to ignore. Another major problem here is with stitching. All the stitches here are running in the same direction. This is definitely not a recommended practice. The direction and angle of stitching should be nicely balanced to balance in-hoop movement. If the direction and angle are consistent throughout the design, the movements inside the hoop will be too massive. Not only will it make the embroidering process difficult, the final embroidered version will also not turn out great. 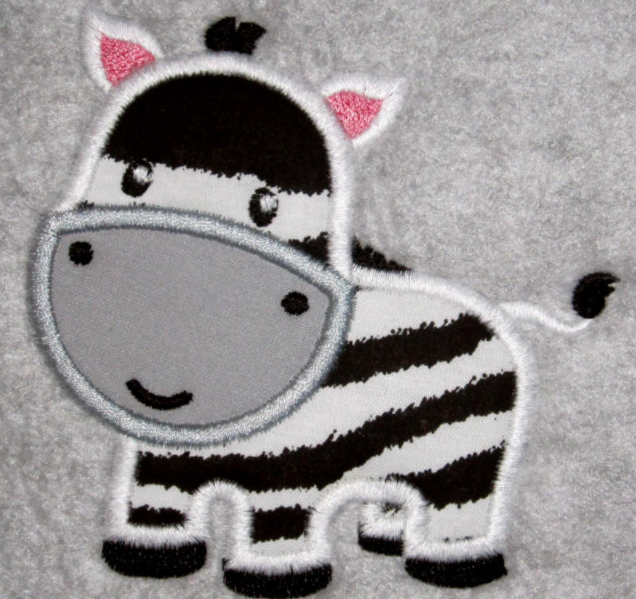 The satin stitch used in the tail and black stripes is too wide. Firstly, not every machine will have the ability to embroider wide satin stitch. Secondly, wide satin stitching can easily snag. The easy resolve is to use split satin stitching. Although, the design is reasonably digitized there still are areas that stand isolated. Such areas include ear and eyes which contribute towards making digitising less uniform. Have a look at this. The digitized design not only looks great but you will see that even upon a minute analysis, the design clearly surpasses previous digitized designs. Let us see what makes this version better than the previous ones. First and foremost there is sufficient underlay beneath this design. This ensures smooth sewing during the embroidering phase. A strong footing makes sure that everything stays where it is supposed to be. Adequate underlay stitching also controls in-hoop movements. You can see that there are minimal jumps in this design. This not only makes the design look great but also smoothen the sew-out. The only jumps are between facial features. even these jumps are strategically placed to minimize disruption in the digitized design. The stitching looks great. The digitizer has smartly decided the stitch angle and direction here. The stitch directions and angles are not same throughout and they are nicely balanced to compensate for the push and pull. As mentioned earlier, this controls the in-hoop movement. There is no gap between the stitches. Moreover, the design looks great. There are no stand-alone chunks and uniformity of the digitized design is perfect. We hope the article will help you in evaluating the work of your embroidery digitizing service or a digitizer. 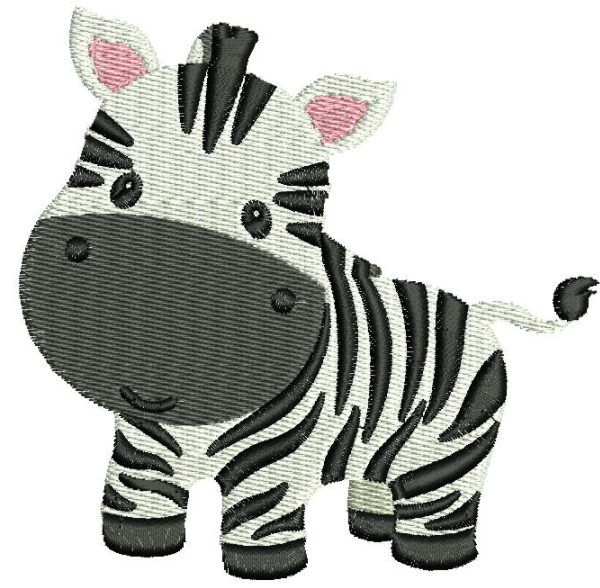 If you ever need professional embroidery digitizing, we are the people to connect with. Evaluating designs every time is very time-consuming. Nobody wants to do that. Our team of professional digitizers will never fail you. Best digitizing prices and quick turnarounds. We even have a 50% discount on first trial jobs for our new customers. Get a quote now and decide for yourself.